As many of you already know, my husband, Rodney, has been battling end stage renal disease. This past January he started dialysis treatment. He is doing dialysis three days per week, four hours a day. This is keeping him alive. He has been doing fairly well on this treatment, but he is unable to work. He will need a kidney transplant in order to have a better and healthy life to share with his children, Sharonda, Roshonda, Lashonda and Rashad. Rodney has completed his medical evaluation at University of North Carolina Hospital and has been on the kidney transplant list for several months. However, due to the extraordinary expense of transplantation, as well as Rodney’s inability to work, funding this life-saving operation is a monumental task. Despite having Medicare, many of his medical needs are not covered and must be paid out-of-pocket. Rodney will need between $20,000 and $40,000 for his lifelong immunosuppressant medications. Also, the expense of traveling to and from the center and then relocation costs at the time of transplant will be high. This presents a challenge Rodney cannot meet alone. 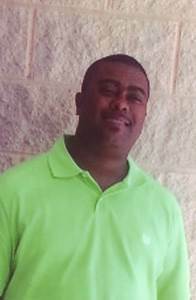 To help with his uninsured costs, a fundraising campaign in Rodney’s honor has been established with HelpHOPELive, a nonprofit organization that has been assisting the transplant community for 30 years. All contributions are tax-deductible, are held by HelpHOPELive in the South-Atlantic Kidney Transplant Fund, and are administered by HelpHOPELive for transplant-related expenses only. You can help make a difference in Rodney’s life. Please consider making a contribution. Together we can make a difference by assisting Rodney during this difficult time. Thank you in advance for your generosity and support. I love you, and praying that will answer all of our prayers. That you will receive your blessing, and give you strength to to go thought this test. Cause it's only a test. And we are going to make it by the grace of God.